Restrictive fishing regulations designed to protect coaster brook trout are expected to allow them to reach trophy size in time. Photo: Troy Zorn, Michigan DNR. It will take a while, but in a decade or so, anglers once again may be able to fish for coaster brook trout along Michigan’s Lake Superior shoreline and tributaries. State fisheries managers are embarking on a long-term experiment to see if the big lake-run brookies can be restored. “Coasters are part of our natural heritage. They are a native species and a beautiful fish,” said Troy Zorn, a fisheries research biologist at the Michigan Department of Natural Resources Marquette Fisheries Research Station. He is the author of a proposal that will go before the Natural Resources Commission in October. What’s proposed is to lower the daily limit to one trout per day and increase keeper size to 20 inches on the experimental rivers. Anglers currently can catch five per day with an 8-inch minimum size. The regulations would go into place on the lower reaches of the Pilgrim, Silver, Slate, Ravine, Big Huron, Big Garlic and Iron rivers, along with the entire Little Huron River. The rivers are found in Houghton, Baraga and Marquette counties. Coasters are legendary in Michigan — big, beautiful trophy brook trout that grow to 20 to 25 inches long and readily take a fly or lure. Once abundant in Lake Superior streams and near-shore waters, most are thought to have disappeared by the late 1800s due to overfishing. Logging and habitat loss finished off most of what remained by the 1930s, according to a Great Lakes Fishery Commission’s plan for rehabilitating Lake Superior brook trout. Today, they are found only in two Michigan waters: the Salmon Trout River in Marquette County, where angler access is limited by the Huron Mountain Club’s extensive private land holdings, and in the waters off Isle Royale National Park. Minnesota and Ontario, however, have had success restoring their populations. They did so by implementing similar restrictions. “Minnesota put those regulations in place in 1997,” Zorn said. “After five years, they didn’t see much, but after 10 years, they started to see larger brook trout. The jury is still out among scientists about whether coasters are genetically different from stream brook trout. For a long time, it was thought so, but genetic studies of the Minnesota fish showed they were “native brook trout, not coaster strains,” according to Zorn. In a nutshell, when left alone by anglers and allowed to grow larger, some of those native Minnesota fish migrated out to the lake, grew larger and eventually returned to spawn. Bryan Burroughs, executive director for Michigan Trout Unlimited, is enthusiastic about the experiment. The organization, he said, has been pushing the idea of restoring coaster brook trout for several years. Henry Quinlan, a U.S. Fish and Wildlife Service fisheries biologist in Ashland, Wisconsin, also is optimistic. His agency has been working to restore coasters in the region. He called Michigan’s plan a good first step. The proposed restrictions have the support of many Upper Peninsula anglers and clubs, Zorn said. That will be important, because some of the waters don’t see a lot of fishing — or law enforcement. The experiment’s success, in part, will rely on anglers complying with the rules. “We’ll have those regulations in place for 10 years and see how it works,” Zorn said. A positive outcome would be more than special. In addition to offering a fun and exciting fishing experience, it would mean that the angling community pulled together to help restore a beautiful and unique slice of Michigan’s natural history. That’s an outcome worth waiting to see. This story appears on MLive Outdoors. 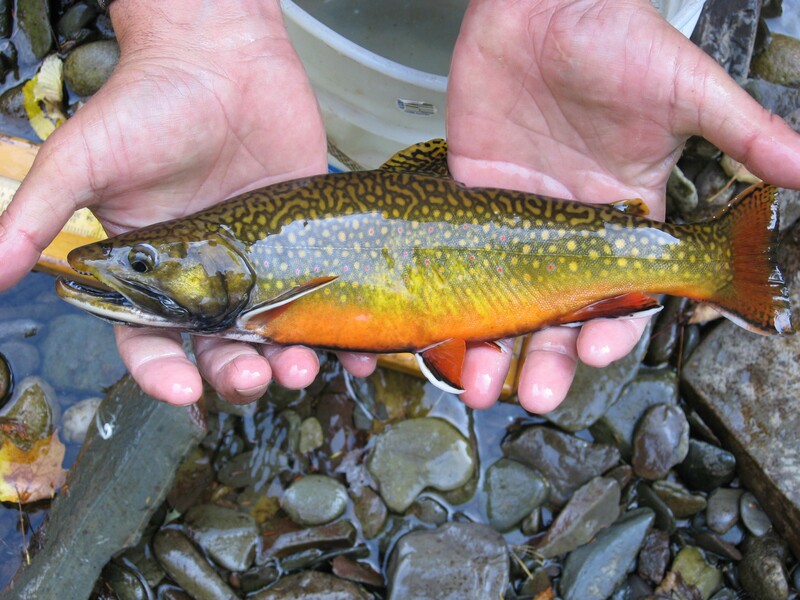 This entry was posted in Uncategorized and tagged Brook Trout, Coaster Brook Trout, Conservation, DNR, Environment, Fish, Fishing, Fly Fishing, Michigan Department of Natural Resources, Nature, Trout, Trout Unlimited, U.S. Fish & Wildlife Service, Upper Peninsula. Bookmark the permalink. Thanks for this information. We hope the strategy is successful. 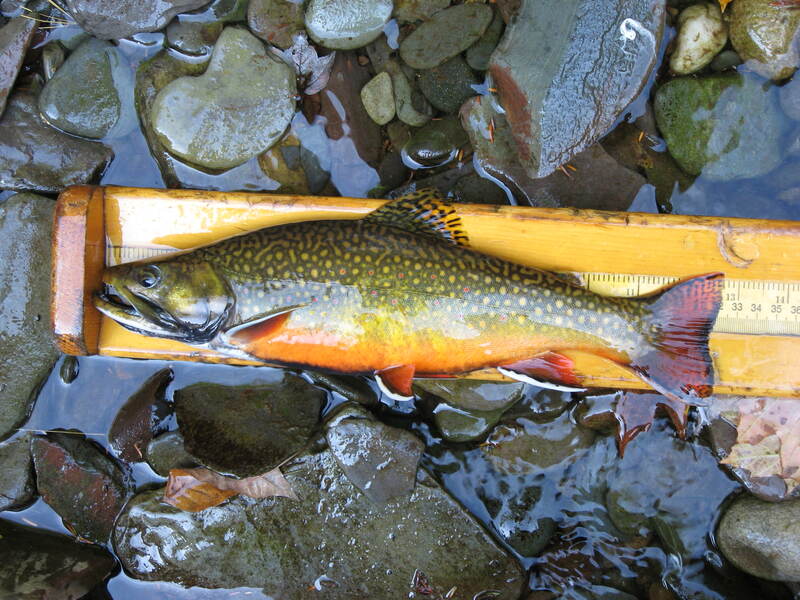 I strongly advocate following the proposal regarding the coaster brook trout. I’m possibly one of, if not the only living trout fisherman who years ago caught a lot coasters. As a youngster we fished Isle Royal and especially the streams and coastline all along the Canadian north and northeast shore of Lake Superior. This was prior to the building of many of the highways in the region and access was almost entirely by boat. We learned some habits of the coasters that I have never seen mentioned. For example, in the early spring the lake dwelling coasters would follow the sucker spawning runs up the larger rivers and gorge themselves on sucker spawn. In early May it was common for our group to catch fifteen or twenty big brook trout running from fifteen to twenty or more inches in an afternoon from one stream. We also caught them fishing along the shoreline of the big lake, although here, they seemed to be found in rather specific localized locations. In the 1940’s we tried to make a weeks trip in early May to Ontario to stream fish for these beauties. Yes, we probably contributed to the current scarcity of the coasters but at the time we found plenty of them and never really thought that they would become endangered. How short-sighted of the UP anglers who oppose this re-establishment program just so they can continue to catch their limits of seven inch brookies from their favorite streams. They don’t know what they are missing!